Broadcast on PBS's Frontline, this film follows the “violence interrupters” of CeaseFire as they take to the streets to personally intervene and defuse gang conflicts. 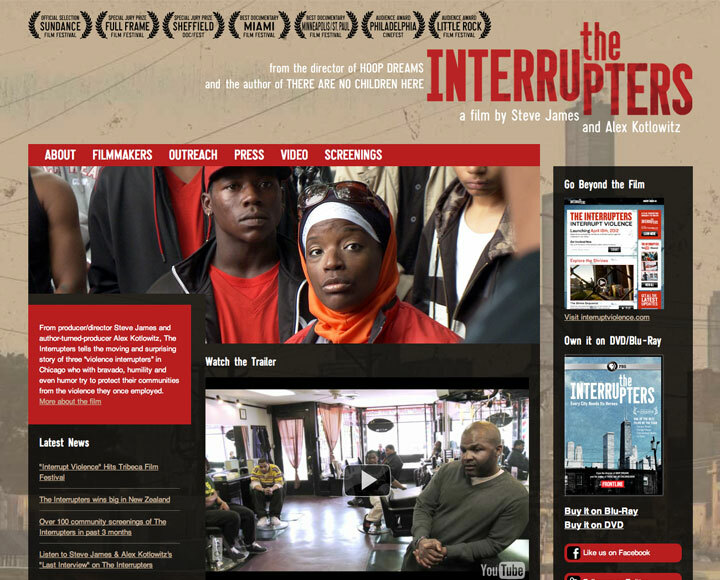 From director Steve James and bestselling author Alex Kotlowitz, The Interrupters portrays a year in the life three members of CeaseFire, former gang members now dedicated to stopping violence at its source. The titles and website we created for the film reflect this conflict and tension.